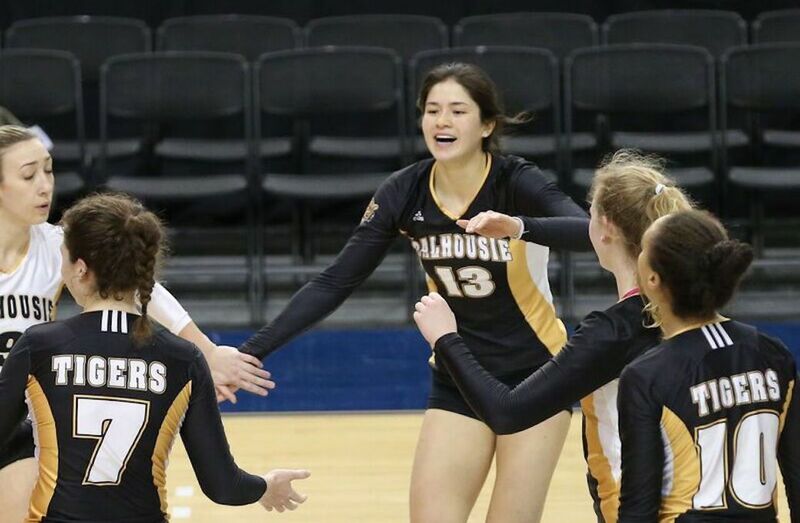 The AUS champion Dalhousie Tigers will head back to Halifax with two U SPORTS championship victories after topping the Western Mustangs 3-0 (25-22, 25-20, 26-24) on Sunday morning at the Mattamy Athletic Centre in the fifth-place match. Mieke DuMont recorded a team-high 15 points, tallying 12 kills, 2.0 blocks and an ace for the Tigers, while teammate Anna Dunn-Suen grabbed 13.5 points, including 11 kills for Dalhousie, who after falling in their quarter-final match to Montreal finished the weekend with two-straight victories. The win against Toronto was the sweetest win of my life. The Mustangs took an early 4-1 lead in the opening set, but the Tigers battled to even the score before taking their first lead of the game at 9-8. Western would grab four of the next six points, however, and a howitzer by Veltman (Brampton, Ont.) from the service line gave the Mustangs a 15-11 lead at the technical. A pair of kills each by Courtney Baker (Bridgewater, N.S.) and Dunn-Suen (Halifax, N.S.) sparked a 5-0 run to help the Tigers even the set, and two more from DuMont (Kamloops, B.C.) helped the Tigers earn a set point. Dunn-Suen’s ensuing attack went off the Western block, giving Dalhousie the first set of the match. The Mustangs responded by taking seven of the first 10 points in the second to once again grab an early lead, prompting a timeout from Scott. Another booming serve by Veltman pushed the lead to seven, forcing the Tigers to take their final timeout of the set quite early in the stanza. 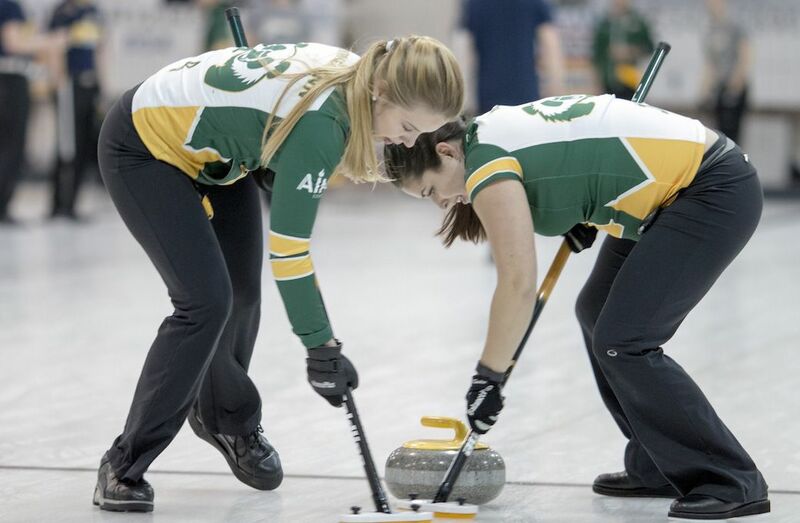 The strategy seemed to work, as consecutive put-backs by Baker capped off a 6-1 streak that brought Dalhousie within a pair, and the moved in front by one at the technical break. After going up by four, the Tigers committed back-to-back errors, and a kill from Scott (Kitchener, Ont.) cut the lead to one. After a back-court attack by Veltman found the net, Dunn-Suen tallied an ace to spread the lead back to three. A rejection by DuMont propelled the Tigers to a two-set lead. For the third time in a row, Mustangs took an early lead, going up by a pair before two Dalhousie blocks sandwiched a DuMont kill to give the Atlantic representatives a 10-8 lead. The teams went into the technical separated by just a point after a kill by Aja Gyimah (Scarborough, Ont.) capped a 4-1 Western streak. An ace by Emma Ciprick tied the match, and the Binscarth, Man. native followed that with a rolling shot that found the deep corner to put the Tigers back in front. After another Dalhousie block, Ciprick’s next serve handcuffed the Mustangs to move the spread up to 23-19. Western fought back for four-straight to even the game, and an error by the Tigers brought up set point. Dalhousie saved the set, and Dunn-Suen earned match-point for her team with a hard cross-court strike. Lauren Koskowich (Calgary, Alta.) would put away a long serve-receive to end the match.